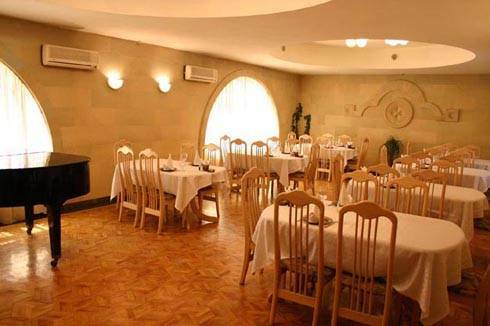 The BASS» Hotel is situated in a quiet district Aygedzor in Armenian it means a gorge of gardens. In spite of the hotel is in a quiet and cosy place, but it takes just a minute of walk to reach the most famous and revived street of the capital Bagramyan street. There are the National Academy of Armenia, the Parliament, the President Palace, the Writers house and line of the international Embassies. 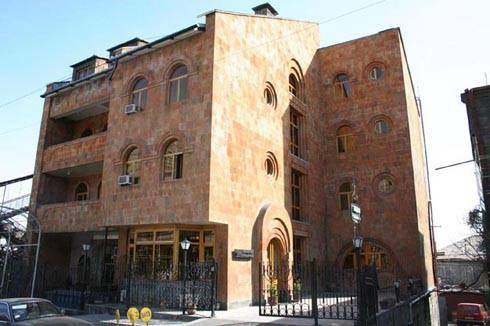 Hotel complex BASS is the first private hotel in Yerevan. The time is passing, we are at the world market already for 11years, but there are things, that dont change: high quality service, truly kindness of the stuff with special warmth, which will create a friendly and homely atmosphere. If you can unite the traditional hospitality and blowing of the new era, the technical progresses and the cultural and historical values, which were created by centuries, we will say it is possible! At the BASS» hotel you will find harmonic combination of these components! 1. The complex consists of 13 first-class rooms of various categories (SGL, DBL/Twin, Junior Suite, Senior Suite, Deluxe)... 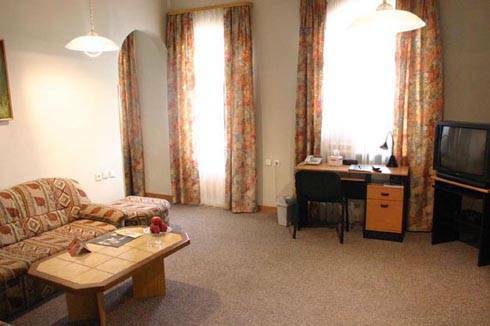 There is all necessary for homelike comfortable habitation of our guests in the rooms, equipped according to the last word in engineering and design, multi cable television, mini-bar, air conditioner, local heating, the hot and cold water for all day long, shower, there is bath in some rooms. Fresh fruits, sweets and plenty of flowers are for all year. Denominations of necessary single use sanitary-hygienic item in the rooms and the surprises only from BASS! Stock: individual style, the mixture of natural buildmaterials (tuff and felsite stone and wood ), and there are plenty of natural flowers all the time. There are many good pictures on the walls of each room. Stand shop with all necessary things for tourists and national Armenian souvenirs. The 4 stars restaurant has officially got four stars category with rich choice of both typical national and European cuisine. There is small and cosy bar here with menu of different drinks, cocktails and sweets. 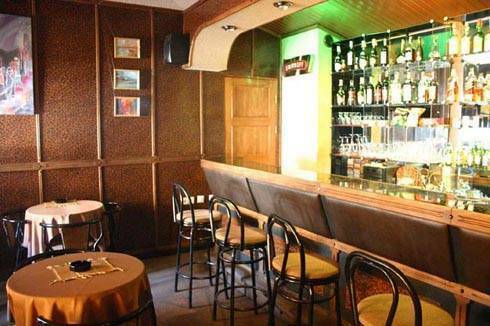 You will enjoy this atmosphere with pleasant music also. One of the most interesting places of our complex is wine cellar (Maran), which is decorated in typical Armenian style; it creates the special colouring of wine ceremony. Here you will find the best sorts of wine. By the legend of Noys Arc the first twig was grown in Armenia after the world flood, and till now that twig gives its emerald fruits and the bright sun of Armenia fills them with warmness, giving them special flavour. In summer you can rest in coolness of summer café, drinking coffee. 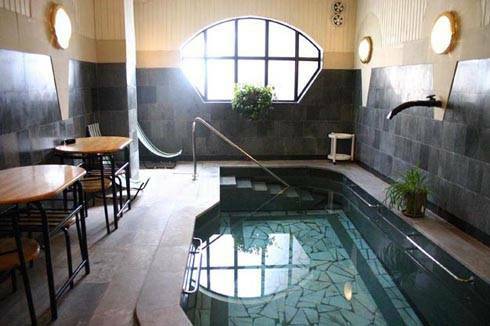 The homelike cosiness, special care to the demands of the visitors is the distinctive features of BASS hotel. Business facilities including E-mail, Fax, copiers, etc. The complex consists of 13 first-class rooms of various categories (SGL, DBL/Twin, Junior Suite, Senior Suite, Deluxe)... There is all necessary for homelike comfortable habitation of our guests in the rooms, equipped according to the last word in engineering and design, multi cable television, mini-bar, air conditioner, local heating, the hot and cold water for all day long, shower, there is bath in some rooms. Fresh fruits, sweets and plenty of flowers are for all year. Denominations of necessary single use sanitary-hygienic item in the rooms and the surprises only from BASS! located in the prestigious Aigedzor district in the heart of Yerevan, our garden-like hotel still sits away from busy traffic and quietly overlooks beautiful Mt. Ararat. Conveniently located only 20 minutes from the airport, and just around the corner from the subway and major foreign embassies. Ideally placed for you to meet your business coleagues. The maran,our traditional style wine cellar.There is degustation of national wines & brandies by order. In summer you can rest in coolness of summer cafe;, drinking coffee.